NOW OPEN & LEASING FOR 2019! Are you looking to grow your design business? Elevate your business by upgrading your environment! 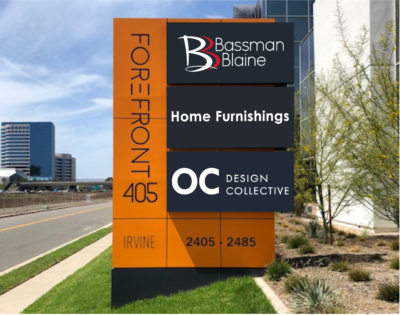 Leading the home furnishings industry since 1984, Bassman Blaine Inc. is excited to introduce our brand new, state-of-the-art facility, offering local designers a fun, functional, and creative space with resources of a large-scale design firm. Private offices and open-concept workspaces available in our beautiful, state-of-the-art building. Ability to purchase from many of the industry’s leading brands and resources. Two extensive designer libraries of hundreds of resources and materials from leading brands. Over 5,000 sq. ft. Bassman Blaine showroom on the first floor. A full menu of administrative and operational services, continuing education, and mastermind groups. Join a community of other design industry professionals as well as expertise from our knowledgeable team. State-of-the-art fitness center with lockers and showers, yoga studio, massage room, and health & wellness programs. Interested? Reserve your spot today!